On the morning of November 27, officials in Ahwaz allowed the reopening of five Bahai-run businesses that they closed down on November 12. It was previously reported that ten Bahai-run businesses in Ahwaz were closed on November 12, but the current report implies that all the businesses closed that day have now been allowed to reopen, and identifies five by name. The Revolutionary Court in Ahwaz has sentenced Mrs. Mitra Badrnezhad-Zahdi (میترا بدرنژاد زهدی) and Mr. Farajollah Bengaaleh ( فرج اله بنگاله) to five years in jail. Mitra Zahdi was arrested in Ahwaz on March 3 this year, and Farajollah Bengaaleh was arrested on March 28 in Shiraz and later transferred by the Ministry of Intelligence to Ahwaz. On May 14 they were both released on bail of 200 million tumans each (40,000 euros ; $US 47,500). In both cases, their houses were searched at the time of their arrests, and religious items were seized. The sentences are still subject to review. By the close of business on Thursday, November 15, 2018, the businesses of at least six Baha’i citizens of Khorramshahr were also sealed by the order of the judicial authorities. The business owners are identified by HRANA as the optician’s shops of Behrouz Habibi (بهروز حبیبی), Hossein-Ali Habibi (حسینعلی حبیبی), Behnaam Habibi (بهنام حبیبی) and Bahaador Ahmadi (بهادر احمدی); the sewing machine shop of Kaambiz Aazaadi (کامبیز آزادی), and the engine repair shop of Kouroush Jaaberi (کوروش جابری). This is in addition to the ten closures in Ahwaz that were previously reported. The sealing of businesses was ordered in response to the owners having closed their businesses for a day in observance of a Bahai holy day. By law, as cited in Item B of Article 28 of the Commercial Union Law, citizens are allowed to close their business up to 15 days a year without providing authorities any reason or informing the Union. However, this law is not extended to Bahai citizens and authorities routinely penalize Bahai business owners for observance of their Holy Days by sealing their businesses. Ms. Neda Sabeti-Azadi (ندا ثابتی -آزادی), Ms. Nooshin Afshar-Azadi (نوشین افشار) and Ms. Foroogh Farzaneh (فروغ فرزانه ), Bahais living in Ahvaz who were detained by the Ministry of Intelligence in raids on their homes on May 6, have been released on bail from Sepidar Prison in Ahvaz. They were previously released on May 12, only to be summoned to the Prosecutor’s Office on May 13 and arrested again. Ms. Neda Sabeti-Azadi (ندا ثابتی -آزادی), Ms. Nooshin Afshar-Azadi (نوشین افشار) and Ms. Foroogh Farzaneh (فروغ فرزانه ), who were detained by the Ministry of Intelligence in raids on their homes on May 6, and released on May 12, were summoned to the Prosecutor’s Office on May 13 and arrested again. 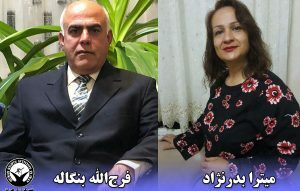 Mrs. Mitra Barnezhad-Zahdi (میترا بدرنژاد زهدی), who was arrested in Ahvaz on March 3, and Mr. Farajollah Bengaleh ( فرج اله بنگاله), who was arrested on March 28 in Shiraz and later transferred by the Ministry of Intelligence to Ahvaz, have both been released on bail of 200 million tumans each (40,000 euros ; $US 47,500). It appears that no charges have been laid. In both cases, their houses were searched at the time of their arrests, and religious items were seized. Three young Bahai women who were arrested in Ahvaz on May 6 were released from Ahvaz prison on May 12. They are Ms. Neda Sabeti-Azadi (ندا ثابتی -آزادی), Ms. Nooshin Afshar-Azadi (نوشین افشار), Ms. Foroogh Farzaneh (فروغ فرزانه ). During the week that they were detained, their families went to the prison and were told that their children were not there [probably because they were detained by the Ministry of Intelligence ~ Sen]. The families went to the cities of Abadan and Khoramshahr to look for their children, and while they were there, Ahvaz Prison contacted them to say their children had been released. Mitra Barnezhad-Zahdi (میترا بدرنژاد زهدی)was arrested by agents from the Ministry of Intelligence in her home in the city of Ahvaz on March 3. The agents searched her house thoroughly and seized books and a laptop. The agents said they had an arrest warrant from the Revolutionary Court, and the arrest is presumed to relate to her Bahai beliefs. Payam News, September 10, 2017. Fourteen businesses run by Bahais in the city of Ahvaz, closed by authorities since July 9, were allowed to reopen on September 7, following an order given orally by the Bureau of Public Places in the city. Shamim Ruhani ( شمیم روحانی ), a Bahai from Ahvaz (a city in the delta of the Tigris and Euphrates) was arrested by agents from the Ministry of Intelligence on November 5. The agents searched his home and seized religious books, personal documents, a mobile telephone and a computer. They took Mr. Ruhani and a number of Bahais who were present in his home away. 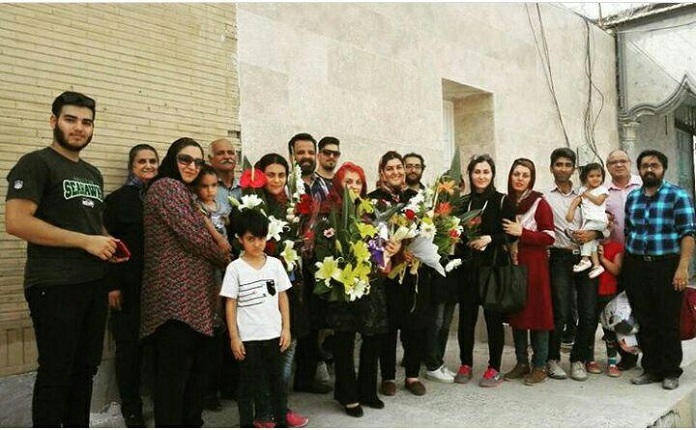 All the detainees except for Mr. Ruhani were released three days later. It is not known where Mr. Ruhani is being held. During this period Mr. Ruhani’s wife, Mina Ruhani-Karimi (مینا روحانی – کریمی), has been summoned and questioned several times.